New studies link high exhaust levels to everything from autism to Alzheimers. 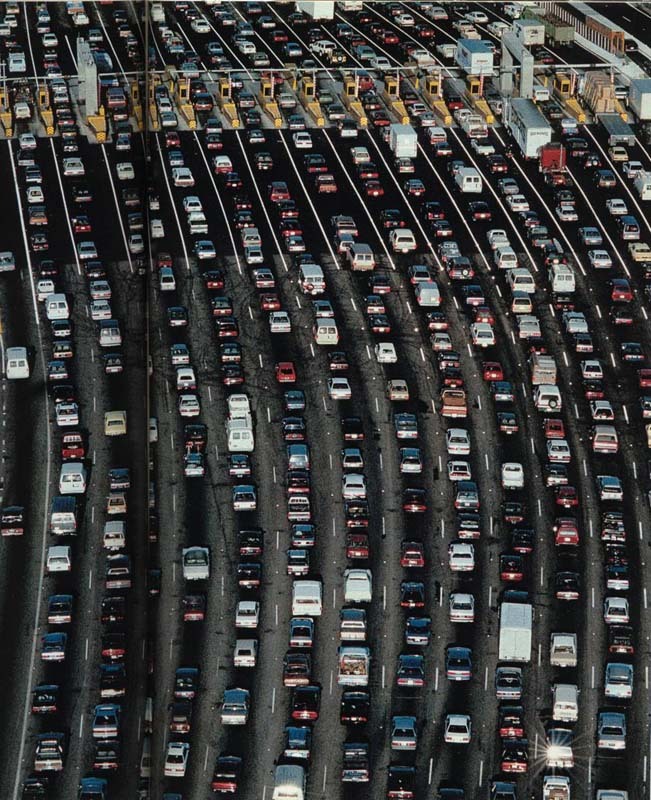 Is traffic a major health hazard? Anyone who has ever spent an hour creeping ever so slowly forward in a seemingly endless traffic jam knows what such tie-ups can do to your blood pressure – but a series of recent studies suggest that the increased exhaust that congestion creates can create serious health issues not only for motorists but those living nearby a highway. Studies from places as far-flung as Boston and Beijing show that such heavily polluted air may be linked to brain inflammation similar to what is seen in elderly Alzheimer’s patients, while children born to mothers who lived close to major roads were twice as likely to suffer from autism. But there is little doubt the new research is worrisome — and may lend support to those who are calling for a widespread switch from the internal combustion engine to alternative power systems such as battery-electric vehicles, or BEVs. Children who received high levels of prenatal exposure to car exhaust in New York City, meanwhile, exhibited greater problems with anxiety, depression and attention by age 5. Intriguingly, premature births involving children born to parents living around New Jersey’s ubiquitous toll plazas declined by 11% once the state shifted to the E-Z Pass system, which lets many motorists pay without stopping. It has long been suggested that automotive pollution can impact the human body, studies pointing to problems such as asthma and even cancer. But where the lungs were long thought to be the most vulnerable human organ, the new research is focusing on the brain and its functions. More and more toll roads around the country are adopting such systems, one of the ways traffic planners are struggling to come to grips with the nation’s worsening congestion problems. There are now 254 million vehicles on U.S. roads, a 20% increase over the last decade. 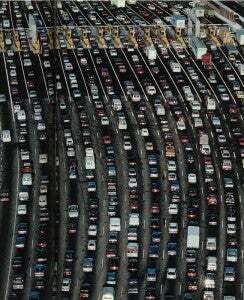 Various studies reveal that the average commuter lost 34 hours in traffic jams last year – a figure that jumped to 52 hours in the 15 largest urban areas. And in many of them, “rush hour” has extended well beyond the normal commuting times. The I-405 corridor, especially near the Los Angeles International Airport, for example, now can be snarled for almost the entire day, as are some of the busier interchanges in cities like New York, San Francisco, Seattle, Washington, D.C. and Atlanta. But traffic problems are becoming endemic worldwide. In some Chinese cities lawmakers have now decided to limit the number of new vehicle registrations they approve each month to limit the growth of the city’s vast vehicle fleet. In Europe, efforts are also underway to reduce traffic problems in many areas. London has enacted a special access fee for vehicles entering the center city. And other communities are eying rules that would limit access to battery-based vehicles. In the U.S., President Barack Obama is pressing to put more than 1 million battery vehicles on the road by mid-decade. The new studies should lend credence, indeed urgency, to such moves. This entry was posted on Thursday, November 10th, 2011 at and is filed under Automobiles. You can follow any responses to this entry through the RSS 2.0 feed. Both comments and pings are currently closed.